Innform Beta Has Arrived! Hospitality Training Made Simple, For Everyone. 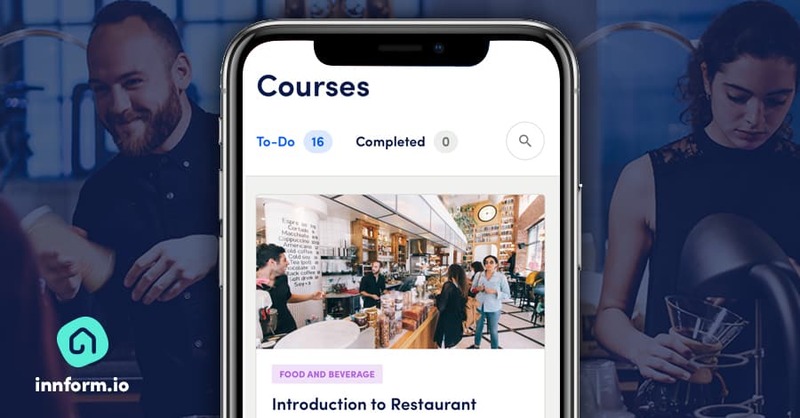 Five months ago London’s eLearning duo kickstarted a startup to solve one of hospitality’s biggest problems: Costly staff training. Innform is designed to offer an easy and affordable solution to make Hospitality training simplified for managers, trainers and of course, employees. Innform beta is available for FREE today, from Innform.io. Today, hospitality staff expect a clear and robust learning and development program from their employer – it’s how most choose to work with a company in the first place. Innform is a mobile-ready training solution, that means it works beautifully on mobile as well as tablets and desktop computers. Today, modern staff members use mobile phones for practically everything and learning is no exception. It’s also multilingual: The interface comes in several languages including English, German and Spanish in the beta version. This goes for content, too! All the courses and training programs within Innform are built in a way so managers and trainers can start training their international workforce right out of the box. Innform is also customisable, this means customers can update the learner’s interface with their company’s logo and corporate colours, giving employees a seamless training experience. Innform’s course authoring tool is designed to be two things: Easy and Powerful. It’s just a breeze to create engaging hospitality courses inside Innform. Adding Videos, Images and Quizzes has been made simpler than ever. It also offers managers valuable insights the second the course goes live for your learners. You’ll know how each individual is performing, whether they find the course useful, identify rising stars and who needs a little bit more help to reach their potential – these and more, are available on the Innform control panel and are updated in real-time. And the cherry on the cake: Innform supports unlimited learners and provides unlimited storage to customers who join Innform beta today! Innform comes with monthly ready-made hospitality courses. These training programs are designed to kickstart the careers of even your most junior hospitality employees – these programs cover the fundamentals so that hospitality trainers can start delivering training instantly! Each course comes readily translated in a number of popular languages, with English, German and Spanish supported in Innform Beta. It gets better: We know that every hospitality company is different, so Innform customers can duplicate and edit any Innform course to tweak it and make it their own! With Innform’s automated induction feature, you can introduce your new staff member to the company, team and their job using the hospitality training tool it self. Simply create an induction course, add an optional quiz and assign the induction to your new recruit in seconds. You’ll start receiving feedback in your control panel the second your new employee begins the induction. They’ll be able to ask you questions along the way, and you’ll get notified as soon as they finish it. Why is this important? The automated induction tool is designed to free up a manager’s time that can instead be used to get to know their new team member – we believe that relationship building is the foundation for any successful eLearning program. More powerful LMS features coming soon! A learning path is a series of courses, quizzes and other content that can be delivered to an employee or groups of employees over the course of weeks, months or even years and is aimed for long-term automated learning. Innform’s classroom mode can enhance your staff’s learning experience with preparation modules, quizzes and videos during physical training sessions – all made available by the instructor when the time is right. Identify your strongest and most experienced employees and nominate them as mentors. This is the best way of retaining valuable accumulated knowledge and evolving company procedures. This feature helps you to keep an eye on your employee progress. Innform’s reporting tool guides managers around the performance of their global teams from one dashboard and helps in identifying skills gaps. Understand what your workforce wants to learn more about. Innform Mood Polls is a fast and easy way to get your people’s opinion. Mood polls are anonymous and can be sent into the Innform app or email. Rewards great achievements and spurs on your ambitious workforce with effective incentives, healthy competition and positive reinforcement. How can eLearning help hospitality companies? eLearning is a powerful and cost-effective solution that has helped thousands of hospitality companies grow steadily. Staff training is a problem for most companies that are expanding: add a high staff turnover and a growing demand from millennials for high quality skills development, and it becomes an expensive problem. Time and again, eLearning was the trusty support tool that hospitality managers and trainers could lean on by delivering engaging and high calibre training to their workers anywhere in the world, straight to their phones at a tiny fraction of the price they used to pay with traditional training. We wrote a number of thought pieces on Why Small Hospitality Companies Should Use eLearning Tools and how eLearning can help you retain your young staff members for longer by providing clear and ongoing training. Innform co-founder Michael Azzopardi goes even deeper into the topic in one of his regular guest posts on the eLearning Industry blog, you can read that post here. 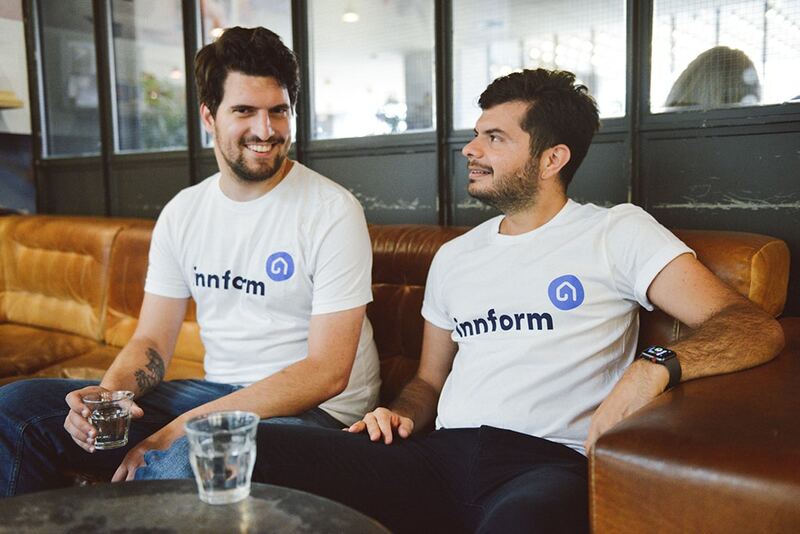 Innform is created by long time London based eLearning designers and partners Michael Azzopardi and Sebastian Hefel. Together they started Seb Azzo in 2012, a software company focussed on building truly effective training software products. These LMS’s (Learning Management Systems) are built to improve on some of the great tools available in the market already. Seb and Michael went on to build several training platforms for global hospitality brands like Accor Group, Novotel hotels, Ibis hotels and Uniworld cruises. London’s eLearning duo has built platforms that today train more than 500,000 employees worldwide! With a background in UX design, they built a team of designers and engineers to fulfil their longterm vision of leveraging software to help companies unleash their teams’ potential and helping them grow in work and in life. To learn more about the Innform design process you can read our post on 10 Ways Innform’s Design Team Is Building Staff Training Tools People Want. It’s been a long and rewarding road for co-founders Michael Azzopardi and Sebastian Hefel, but Innform is proving to be their eLearning highlight that is reaching beyond anything they’ve achieved in the past – the product is attracting the attention of hospitality companies big and small who have one thing in mind: building a team of inspired workers so that together, they can deliver a wonderful experience to their customers. Innform beta is here, and in a few months we’ll launch the first official version. Why are we doing all this? Our mission is to put our years of hospitality elearning into practice, and into one affordable package so that companies around the world can get a hold on their staff training, once and for all. Managers, trainers and their ambitious staff deserve it. Innform is hospitality training made simple, for everyone.